His Majesty's Theatre in Aberdeen is the North East of Scotlands largest theatre, seating more than 1400 people. 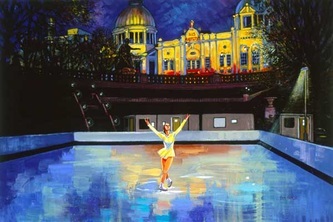 It's at Rosemount Viaduct just opposite the Union Terrace Gardens. 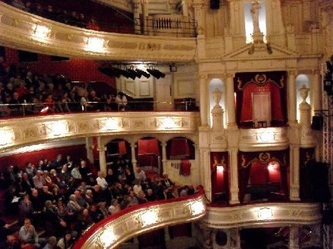 Designed by Frank Matcham who was a well renowned theatre designer, HMT was opened in 1906. The theatre was given a National Lottery grant in 1999 and was refurbished and extended. A new glass fronted extension was built which houses the box office, cafe and restaurant. It was designed by Aberdeen City's architect Trevor Smith. The auditorium was also completely refurbished with new seats installed. It is currently managed by Aberdeen Performing Arts which also runs Aberdeen's Music Hall and the Lemon Tree. 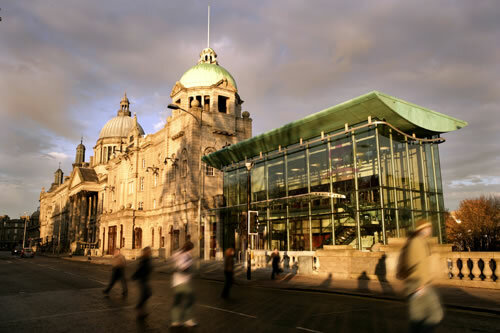 HMT is a great addition to Aberdeen and is frequently visited by Scotland's National Arts Companies.